The mask itself is sort of like an extra-gooey soft lip balm, with a very long (45!) ingredient list. 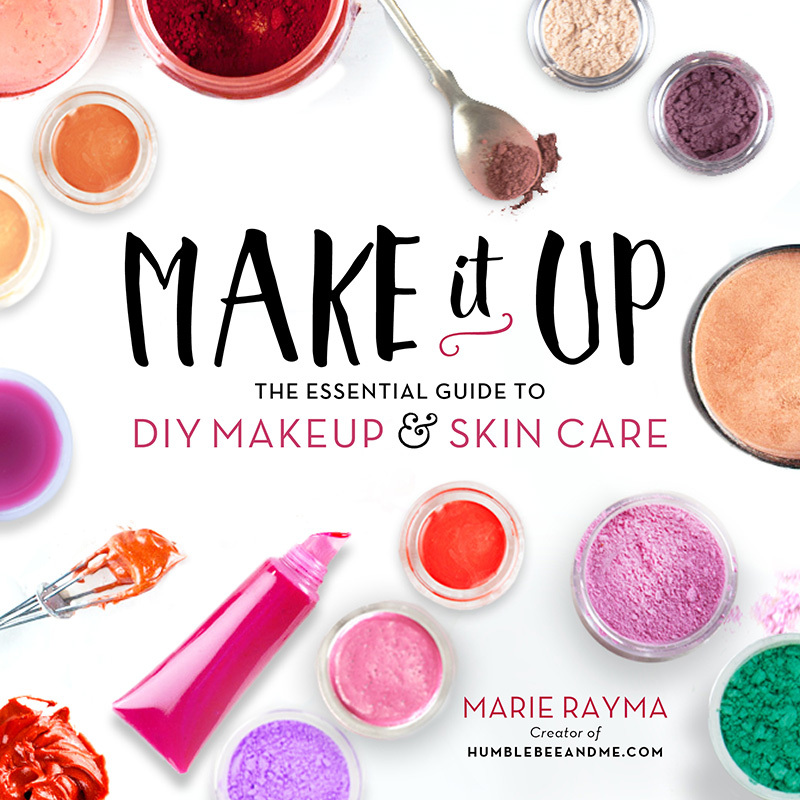 It contains a fruit salad’s worth of fruit extracts as well as some shea butter, hyaluronic acid, and a whole lot of other things home crafters can’t get. You smooth on a generous amount before bed (or use it like regular lip balm as well—at 20g [aka approximately 4.5 tubes of lip balm] I’m going to have this lip mask for years!) and wake up with happier lips. 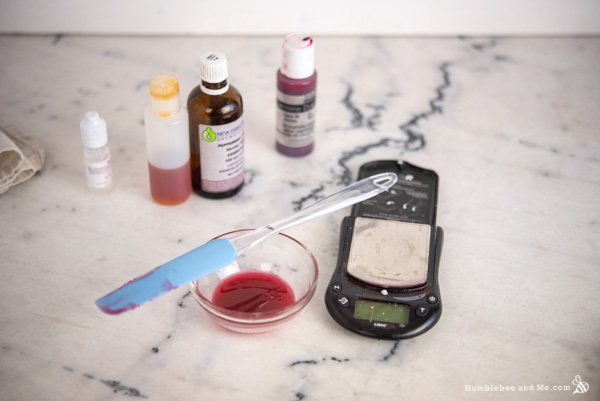 I really liked the product and the concept, so when Kelly sent in a recipe request for an overnight lip mask with a sample ingredient list from a simpler commercially available product, I was super intrigued! The bulk of this lip mask is lanolin, which totally makes sense when I think about the gooey-sticky consistency of the Laniege product. Some added castor oil and beeswax further add to the rich oil-gel-ish feel of the product. Sebum-like jojoba oil, silky kukuinut oil, and rich shea butter round out our oil blend, and some carnauba wax adds some harder, glossy thickening. I also decided to take a bit of inspiration from the Laniege product and include a bit of an active I purchased from Lotion Crafter called Hilurlip (thanks to Cristie for turning me onto this awesome new toy!). It’s a lip-specific active containing both sodium hyaluronate and tripeptide-1 to help hydrate lips, reducing fine lines and increasing plumpness. It is oil soluble and effective at 1–3%. 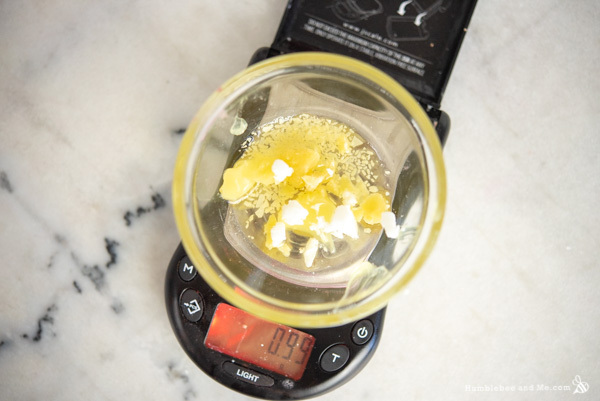 You certainly don’t have to use it, but I really liked the idea of fusing some of the strengths of the higher-tech Laniege formulation with the more accessible one Kelly shared. 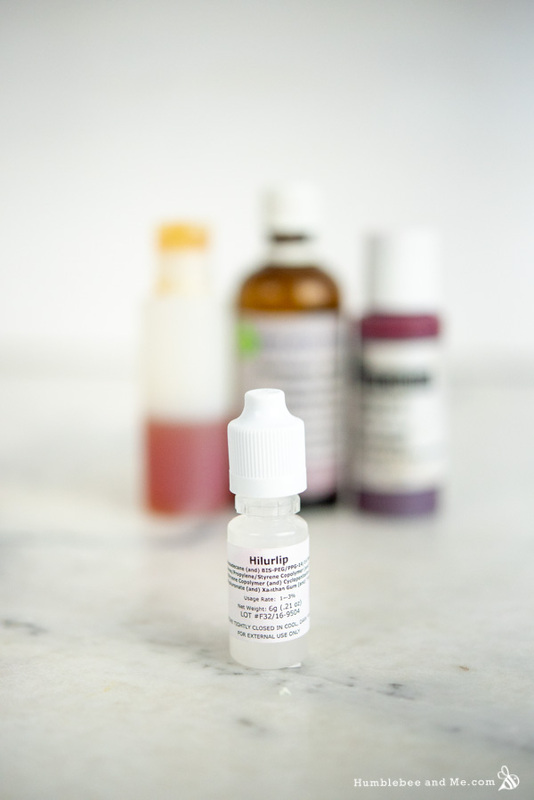 I don’t recommend using hyaluronic acid in its place; the concentration and particle size are both so small as to be very hard (if not impossible) to replicate at home. The end product is rich and a bit gooey with a hint of gloss and great wear time. I’ve been generously schmearing it on and enjoying it both as an overnight lip mask and as a during-the-day lip balm (though I use less for during-the-day wear). I’ve found it to be downright lovely—like a supercharged combination of lip balm and a super hydrating lip gloss. Highly recommended! 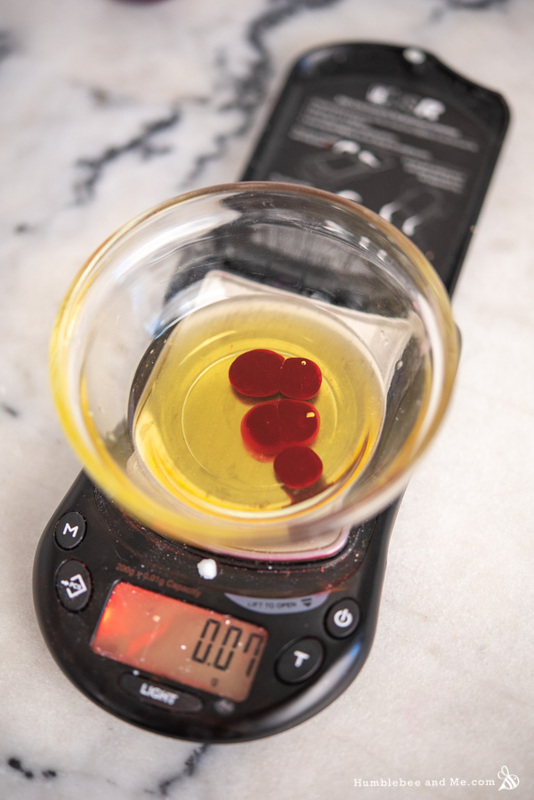 Once everything has melted through (this can take quite a while due to the carnauba wax), remove the mixture from the heat and dry off the measuring cup. Let the mixture cool, stirring. After ~1 minute of cooling, add the liquid carmine dye and stir to combine. 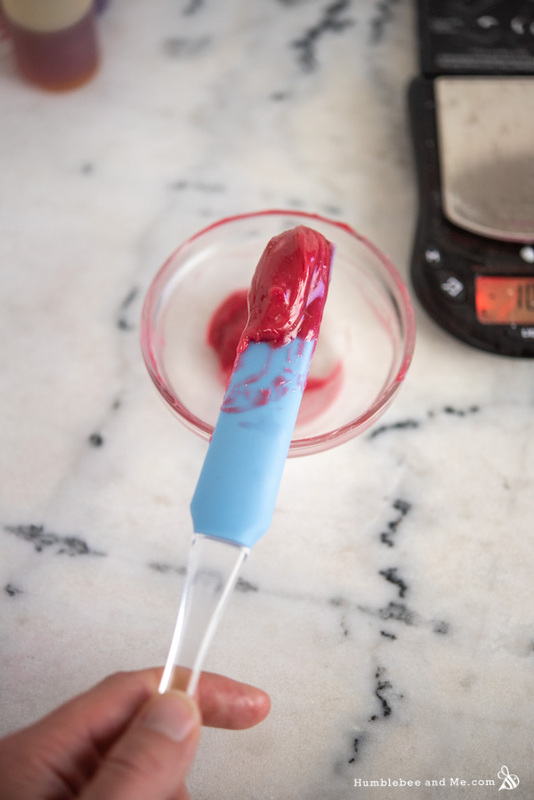 Continue to let the lip mask cool—I’d leave it for about a minute, return to stir, and repeat this cycle until the mixture started to lean more towards a soft solid than liquid, and I could comfortably hold the warm dish in my hand. 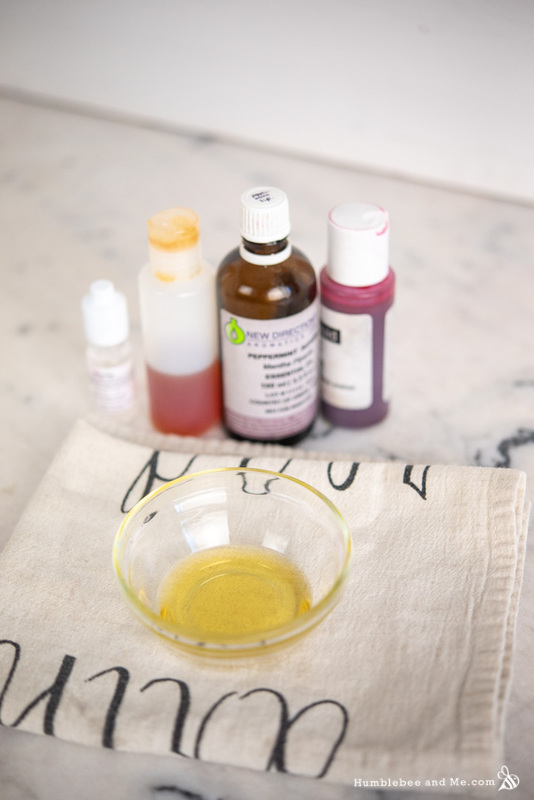 At this point it’s time to blend in the remaining cool down ingredients; the hilurlip, essential oil, and vitamin E. Once those ingredients have been thoroughly blended in you’re ready to transfer the balm to your container. I used a 15g screw-top tin from YellowBee. This was too big for a 10g batch and too small for a 20g batch (somewhat predictably!). To use, smooth a generous amount of the lip mask over your lips before bed and enjoy waking up to super soft lips! Because this lip balm is 100% oil based, it does not require a broad-spectrum preservative (broad spectrum preservatives ward off microbial growth, and microbes require water to live—no water, no microbes!). Kept reasonably cool and dry, it should last at least a year before any of the oils go rancid. If you notice it starts to smell like old nuts or crayons, that’s a sign that the oils have begun to oxidize; chuck it out and make a fresh batch if that happens. Good morning! I was wondering since you wear this at bedtime would the color come off onto the pillow? Can I just buy this lip balm from you? I’ve got an entire FAQ on this, but the short answer is a firm no. Is Hirulup available in Canada? How do you get stuff from Lotion crafters Marie? I’ve only found it at Lotion Crafter; I picked it up on a trip to the US last year. My Monday morning commute to work is always quite awful, so I really look (listen?) forward to your new recipes on YouTube even though I will almost inevitably find myself short a few ingredients. 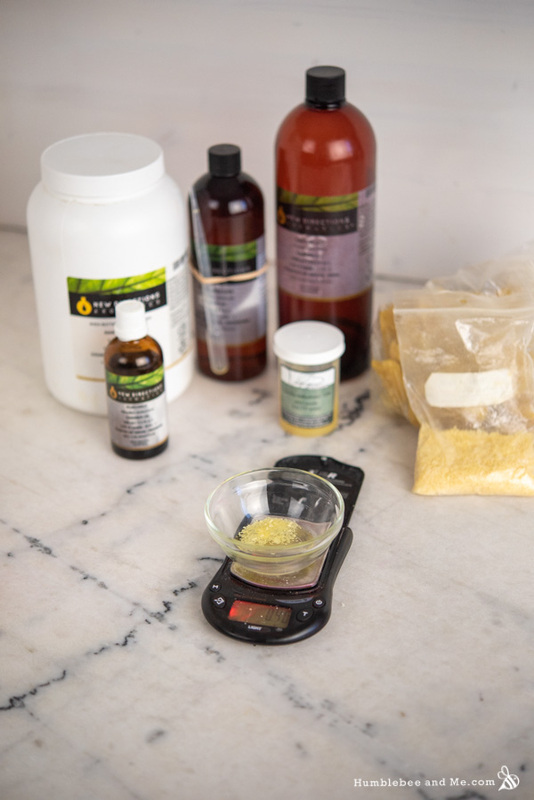 Listening to you run through the list of ingredients is almost like hearing them call out the winning lottery numbers only to find out your own were off by a few numbers. So I invested in Amazon Prime, bought a large storage pantry and learned the art of patience as I waited for my missing ingredients. After about a year of this, I’ve become quite used to making a note of which items I would need to order. So you can imagine my surprise when you called out the list today AND ALL MY NUMBERS HIT!!! I was so shocked and excited that I pulled over, turned around, went home, called in to work and made this wonderfully hydrating lip mask! First want to say I love your recipes as they include “exotic” ingredients that make decadent products! So thank you for all the inspiration and thousands of posts! About this recipe, I made it last night and this consistency is no where close to your. I was able to put it in a 5 ml tube and it’s not hard and not too soft although after being in my pocket for an hour, it’s beginning to break down a bit. I did sub the beeswax with 10% cera bellina and 5% stearic acid (only because I’m tired of the tackiness of beeswax and wanted something more creamy) but now I have an “in-between” lip balm that’s too thick for a tub and too thin for a tube (unless you are careful not to over-heat it). Was it my substitution? 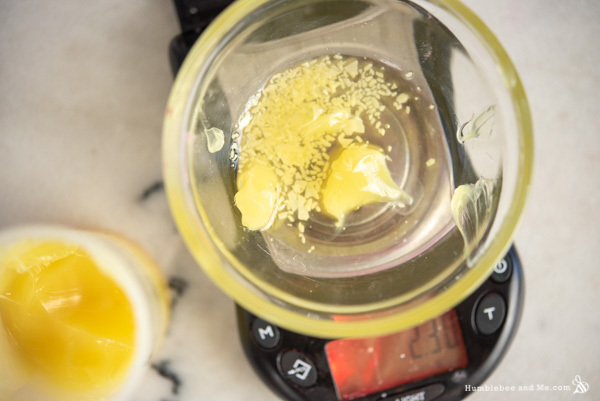 although I thought beeswax would make it even harder… how did yours become so creamy and does it stay that way in most temperatures? 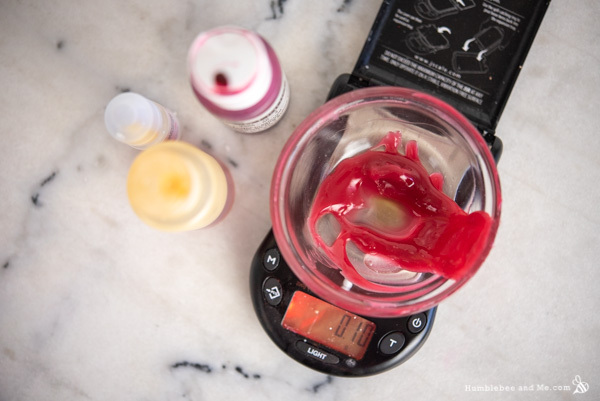 I love the texture and “wear-ability” of this recipe but I’d like to make one that will work in a tube and more of a gel (that looks like yours) for a tub. I was thinking to add magnesium stearate and magnesium myristate like in your lipstick formulas. Do you think this would be ok for a mask? Or am I wasting the ingredients. Ahh you are the best! Thanks for getting back to me! I am so glad you are enjoying it! I gifted mine and I think I’m due to make another batch soon 😀 Thanks for DIYing with me! I wanted to do your recipe for a long time. But, I recently discovered that I have issues with lanolin. My lips are getting worse when I use it. 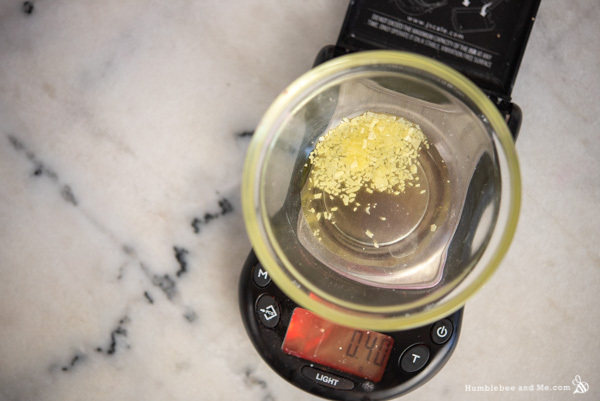 I came across a recipe for a «vegetal» lanolin that uses castor oil, beeswax and vitamin-e. I will give it a try. Hopefully, it will not be too far from the beautiful texture of your balm. Thanks! That’s lanolin for you! It’s an amazing product, but some folks react to it something feirce! I have to admit to you, that I much prefer this lip balm for night use! I find that when I wake up after wearing it my lips are ridiculously smooch worthy! Do you need to put this in the fridge to set? Nope—that’s why the recipe doesn’t say to put it in the fridge 😉 I try to be very thorough!